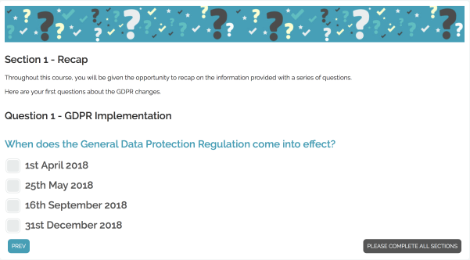 The aim of this training is to inform businesses about the impending changes to GDPR and to support businesses in their understanding of policies and procedures around data security. The course provides you with information regarding good practice on how businesses should ensure that all personal and sensitive data is kept securely. The course should take approximately 15-20 minutes to complete.